If you have trouble getting your kids to each healthy food, click here to check out how I do it. The main key in changing eating habits for anyone is not to give up! 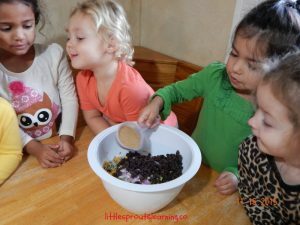 Why should we cook with kids? Why go to all the trouble. Kids are 80% more likely to want to try healthy food, if they help prepare it. Cooking also has so many other benefits. Click here and here to see a few of them. As a rule, my kids would rather have broccoli roasted than any other way. They usually aren’t big fans of eating it raw. 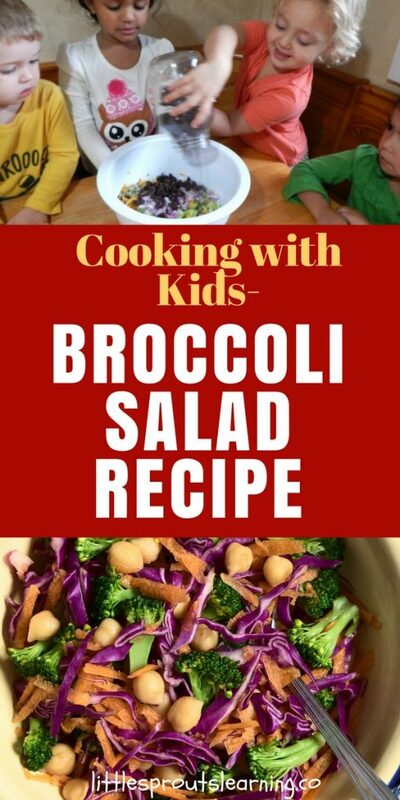 This broccoli salad recipe was a big hit because it had other things in it they like such as raisins and sunflower seeds. Give it a try with your broccoli eaters and see what happens. I bet they’ll like it more than you think. I have a saying that if you don’t like a healthy food its because you haven’t tried it the WAY you like it yet. Preparing foods in many different ways helps you discover the one that you absolutely LOVE! Variety is the spice of life! Delicious salad of raw broccoli, raisins, onions, and other flavors. Wash hands and have kids wash their hands. Mix mayo, vinegar, and sugar. Thank you so much for taking the time to check it out. 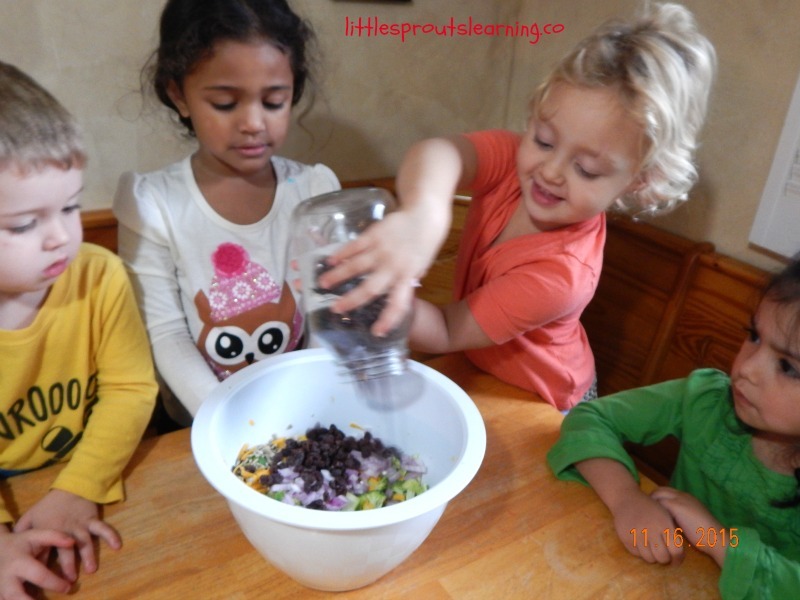 I love cooking with my kids and i’m so glad you hear you do too! Sounds very great ! I am sure glad to get this recipe !! Thank you so much . It is so great for you to show these sweet kiddos about veggies and hot to make them so good. Thank you for all you do with them .?? I hope you enjoy it! 🙂 Thanks for checking it out.